Lent has officially begun, and if you observe this season of fasting (for religious or other reasons) you’re likely well aware of the culinary sacrifices you’ve made to mark the days between Ash Wednesday and Easter. Like many modern – day holidays, the tradition of Lent has fallen prey to how much money it can make – diet and nutrition industries have snapped the holiday up as a way to promote weight loss, diet and exercise fads. We all know those people, maybe we work with them, live with them, potentially avoid them, who give up something heroic for Lent, then complain about their lot for 40 days and 40 nights. Common culprits of whiney Lent sacrifice include chocolate, wine, alcohol and sugar. While these are great choices of things to give up, a sacrifice for the sake of changing your body or looking like a martyr is not really a sacrifice at all. In an attempt to ensure I do not become a whiney Lent practitioner myself, I wanted to think about the creativity needed to put together unique food options during this time of year. In the spirit of considering positivity and non-whiney-ness during this Lenten season, I’ve gathered some recipes for your enjoyment (and mine!) Check out these Lent recipes from around the world – you may even want to savor them all year-round! In Mexico: Mexico has one the most festive celebrations of Carnival in the world, and the Lent season following the festivities is as somber as Carnival is celebratory. Meat is traditionally avoided on Fridays during Lent, so bring on the seafood! A wonderful alternative found in Mexico during the season are seafood empanadas. Although you can stuff them with whatever combination you like, this one, from Epicurious is particularly appetizing. Capirotada, Mexican bread pudding, is a popular Lent – season dessert. Some believe the combination of ingredients is meant to represent the suffering of Christ on the cross, others just believe in the enticing flavor. Enjoy this recipe from Muy Bueno to make the sweet treat at home. In Greece: Lent for Orthodox Greeks is observed on slightly different days than in other denominations, but essentially has the same meaning. It is also more heavily restricted; practitioners abstain from meat, dairy, fish with backbones and olive oil during the entire season. There are special recipes for specific days within Lent, but this simple cornbread, also known as peasant bread, can be enjoyed anytime. It contains no dairy or eggs but you won’t miss them with it’s flavor. 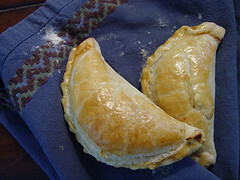 Another sweet Greek lenten treat? Greek honey puffs, also known as loukoumades. Check out this recipe, reminiscent of a very classy summer-time fair. Yes please. In France: In France, Mardi Gras precedes Lent, and has foodstuffs and celebrations to give New Orleans a run for it’s money. For Lent, the French, unlike Orthodox Greeks, can enjoy cheese dishes. Thank goodness, because the French do cheese so well! Silk Weaver’s Brain, or Cervelle de Canut, is a fromage blanc base with herbs and vinegar. There is some dispute over whether the name reflects a tribute or an insult to the silk-workers in Lyon, but no dispute over the deliciousness of the dish! This recipe from About.com is easy and can be served with fresh bread or crackers. 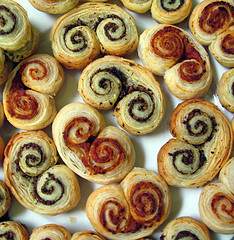 Another Lent-time treat in France are Savory Palmiers. Goat cheese, nuts, pesto combine in a pretzel-shaped pastry to create a delightful appetizer or side dish. Try this reciepe from Ina Garten. Roasted Beet Salad, is a hearty lunch when meat is not an option. Traditional French cooking calls for roasted beets–of any color–and high quality cheese. This recipe from Chez Bonne Femme calls for blue cheese, but goat cheese or feta would work as well. Does your family have any foods you always make during Lent? Please share below! Never miss a chance to eat, drink and travel with Wanderfood. Follow me on Facebook, Pinterest and Twitter, and subscribe to my RSS. Pesto Palmiers. 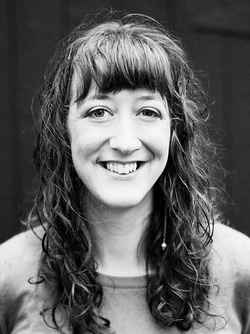 Ruth Hartnup, Licensed under CC by 2.0.